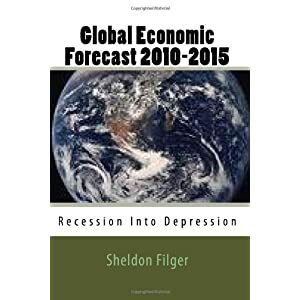 Obama Proposing Record Budget Deficits; Is America Doomed To Follow Greece? As the United States national debt reaches parity with total annual GDP, President Barack Obama continues to preside over a record level of deficit spending by the federal government. He has just sent to Congress a proposed $3.73 trillion budget for FY 2012, while forecasting a record $1.65 trillion deficit for the current fiscal year. Earlier, the Congressional Budget Office projected that the current deficit would reach at least $1.5 trillion. These figures mean that America remains trapped with unsustainable structural mega-deficits, and that more than 40 percent of everything the U.S. federal government spends is financed with borrowed money. As I have commented on before, this level of government indebtedness just cannot be sustained, and will lead to catastrophic repercussions. While the politicians in Washington, particularly in the Obama administration, pay lip service to the need to “rein in” this profligate public spending, nobody believes that they are serious. The president’s claim that he “plans” to reduce the deficit cumulatively over ten years by just over a trillion dollars is an utter farce, since even by the most optimistic forecasts this would leave a combined deficit over the decade of more than ten trillion dollars. The problem, however, is not uniquely one of the Obama administration and the Democratic Party. The Republicans, who left for Obama as an inaugural present in 2009 a first-ever annual deficit to exceed a trillion dollars, are as intellectually bankrupt as are their adversaries on the other side of the aisle. The GOP is equally bereft of ideas on how to control this raging fiscal train wreck, offering little more than worn-out cliches such as reducing taxes, as though that would not further exacerbate the federal government’s structural mega-deficit. What we are witnessing is not only an economic and fiscal calamity in the making. It is as much a display of political dysfunctionality and moral cowardice as it is of inept fiscal policy. Which leads to the melancholy conclusion that it will not be the political echelon in Washington that ultimately imposes budgetary discipline on public spending. Increasingly likely is a doomsday scenario, in which the bond vigilantes, well practiced already with their punishing assaults on the credit ratings of Greece, Ireland and now Portugal, unleash the full fury of the market place on Uncle Sam. When that fiscally apocalyptic moment arrives, not even the impressive weight of political inertia that resides in Washington DC will be able to impede a sovereign debt crisis in the United States that will not only cripple the nation’s economy with devastating effect; it will likely dispossess the next generation of Americans of their future. Roubini in the past has supported the vast budget deficits of governments and monetary loosening of central banks as a painful but necessary measure by advanced economies to redress the damage resulting form the financial and economic collapse of 2008. Even then, he warned that there was no free lunch, and that policymakers would have to present a credible plan for withdrawing stimulus and monetary easing and curtailing their levels of public debt. Now, with a full-fledged sovereign debt crisis raging in Europe and the U.S. trapped with a structural mega-deficit, Roubini and other perceptive economists are clearly worried about the unsustainable budgetary imbalance of the U.S. federal government. Indeed, a day of reckoning is coming closer, with no cogent remedies on the horizon. It is becoming far more likely that a fiscal train wreck is a future destination for the U.S. economy, and that future may not be long delayed. In his historic contribution to America’s fiscal imbalance, current Federal Reserve chairman Ben Bernanke has even surpassed the corrosive reputation of his predecessor, Alan Greenspan. It has been on Bernanke’s watch that the previous structural deficits of the U.S. federal government have been transformed into even more alarming structural mega-deficits. 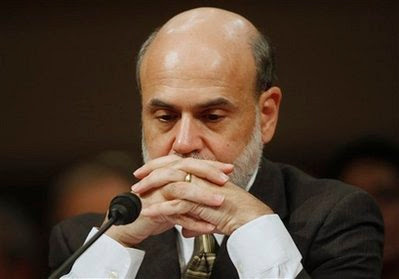 Bernanke knows that a fiscal firestorm is brewing. So how do you continue with policies that encourage annual deficits measured in trillions of dollars while looking responsible on the deficit issue? Why, just testify before Congress and speak eloquently of your serious concern about the deficit. Trajectory toward sustainable fiscal balance? The only clear trajectory I see is an irreversible rendezvous with national insolvency, sparking a catastrophic global economic depression. Ten years ago, the Clinton administration submitted to Congress a proposed federal government budget of $1.9 trillion. Now, the Obama administration has released a proposed budget for the upcoming fiscal year. It is a whopper: more than $3.8 trillion. As inflation has been low over the past decade, if official U.S. government statistics are to be believed, the great majority of this doubling in federal spending over the past decade has been actual increases in real terms. More disturbing than this explosion in federal outlays has been the record deficit that is being projected, following on the heels of previous record deficits. The red ink being forecast for FY 2011 is an eye-popping $1.56 trillion. Yet, President Barack Obama claims that this is a first step towards deficit reduction. I beg to differ with the president. Far from being a move towards fiscal responsibility, this massive spending fest, with a projected deficit that is the equivalent of more than three quarters of total federal government spending a mere ten years ago, is the clearest indication yet that U.S. government spending is out of control, and has entered the fiscal twilight zone. 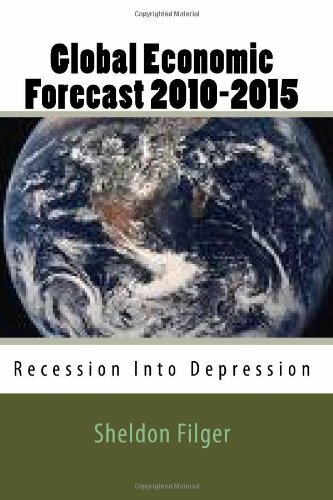 As I project in my new book, “Global Economic Forecast 2010-2015: Recession Into Depression,” this dangerous path is unsustainable. The ultimate consequences will be frightful. 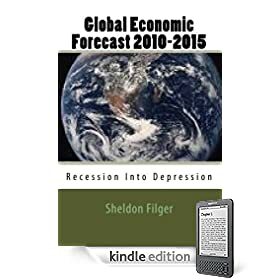 As a synchronized global recession hammers the economies of Europe, Japan and North America, the last refuge of those who still believe in a short-lived economic downturn, with no danger of a worldwide depression, has been China. Everyone and their cousin, it seems, are banking on China to lift the entire planet out of the clutches of the Global Economic Crisis. The latest export figures issued by the Chinese authorities, however, demolish any rational expectation that the world’s third largest economy will reverse the ferocity of the synchronized global recession. Exports from China in February declined 25.7 % from one year ago, a staggering rate of contraction that is far worse than the expectations of analysts. The clear message is that the Chinese economy is being fully impacted by the Global Economic Crisis, despite the forlorn hopes of some that Beijing would successfully decouple its economy from the global recession. The entire center of gravity of the Chinese economic machine is export trade. No matter how one may try to formulate some new theory of Chinese economic development based on the mythology of “domestic demand,” it is China’s transition into the factory of the world that transformed the formally stagnant economy of Mao’s Cultural Revolution into a 21st century behemoth. It is for that reason that a decline of one quarter in China’s exports must be seen for the economic catastrophe that it is, both for China and the world. Along with the plunging in exports has been the narrowing of China’s once vast trade surplus. Until recently, China typically experienced a monthly current account surplus of $40 billion. In February, this figure shrank to less than $5 billion. This diminution in the current account surplus is significant, for it was through large trade surpluses that China was able to accumulate large foreign exchange reserves, currently in the range of $2 trillion dollars. This reserve enabled the Chinese government to purchase nearly a trillion dollars in U.S. Treasuries, a critical factor in providing credit to cover the staggering budgetary deficits incurred by the United States. A continuing trend downward in both overall Chinese exports and her current account surplus, combined with the need to now fund Chinese deficit spending for that nation’s own economic stimulus program, translates into less capacity for Beijing to loan the U.S. Treasury money. This dismal convergence occurs precisely when the projected U.S. government deficits are expected to increase exponentially. China’s export contraction is bad news for many reasons. Domestically, the Chinese authorities worry, with good reason, that social stability and cohesion will be at risk due to increasing levels of unemployment. Fewer Chinese exports also means that Beijing imports less from the rest of the planet, further exacerbating the Global Economic Crisis. Most vexatious of all, however, is the diminished ability of China to be the banker of last resort to the debt-ridden U.S. Treasury. Not enough attention has been devoted to the contradiction of America planning multi-trillion dollar deficits annually for years to come at exactly the time when China’s now sputtering export machine likely means that the number one source of credit for the United States will no longer be able to satisfy the credit needs of the American government. The latest export data from China, when placed in the context of the factors listed above, points to a perfect fiscal storm brewing that will prove shattering to the U.S. economy and a volatile accelerant in the mad rush towards a global economic depression.